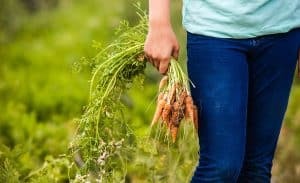 If you haven’t heard about AmpleHarvest.org, let me start by saying it’s the program you may not have known that you needed – but every gardener in America does. AmpleHarvest.org was founded in 2009 to solve that “what am I going to do with all those extra tomatoes/zucchini/abundant vegetable” problem that most gardeners struggle with. 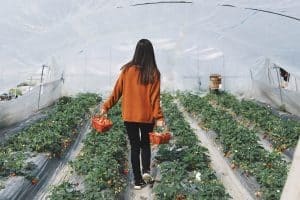 They solve this in a truly unique way – by letting gardeners know that yes… that food can be donated, and here’s where to take it. AmpleHarvest.org provides a search engine that helps gardeners find one of more than 8,400 food pantries nationwide. Food pantries in all 50 states are waiting to accept fresh produce. Want to learn more? Check out the TED talk about AmpleHarvest.org! In 2016, about 2,500 gardeners nationwide participated in a survey about the food they grew and their interest in donating their excess harvest to a local food pantry. If you garden at all – whether it’s a tomato plant in your kitchen window, or many plants in your backyard or community garden – please visit AmpleHarvest.org/survey to take the survey. Ask a gardening friend to take the survey too! Once the data is collected and analyzed (by an economist), AmpleHarvest.org will make the overall results public (don’t worry…. your individual survey input will not be released). America’s gardeners are awesome. Help AmpleHarvest.org prove it. Thank you! !